To provide a vehicle for the promotion of fellowship and friendship among Senators, internationally, nationally and locally. ​To encourage and foster international social contacts between individual Senators and Senate groups. ​An award known as “JCI Senatorship" granting life membership in the organization and in the JCI Senate may be awarded to Individual Members or past members as a means of honoring them for rendering outstanding service to JCI. The awarding of such status is a distinct honor by which to recognize achievements of outstanding members, while also enabling them to retain contact with the organization for life. Italian Senators constitute the Jci Italy Senate. As we celebrate the 50th Anniversary of the JCI Senate, it seems fitting to pay tribute to one of our leaders, Philip T. R. Pugsley, who was instrumental in the formation of the Senate program. Born in Montreal, Canada, Philip T. R. Pugsley had a long association with the Jaycee movement at the local, national and international level. In 1951, at the VI JCI World Congress in Montreal, Canada, he was elected president of the international organization. Pugsley did much to support the global growth and development of Junior Chamber International and provide members lasting means to repay the organization for all it has given them. During his travels as President, Pugsley investigated why chapters were awarding trophies and trinkets to commemorate outstanding service of members. He believed the funds could be better utilized to support expansion of the Junior Chamber movement. Pugsley conceived the idea of the Senatorship as a distinct honor by which to recognize achievements of outstanding members, while also enabling them to retain contact with the organization for life. 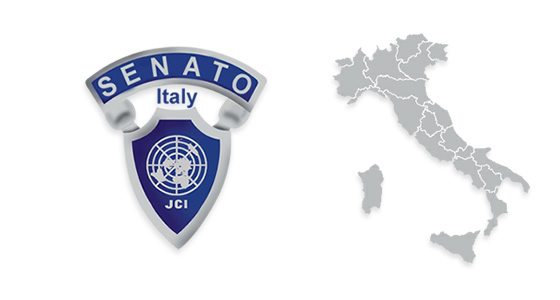 Through his efforts, the JCI Senate was formed in 1952 at the 7th JCI World Congress in Melbourne, Australia. The JCI Senate Foundation was established in 1979 to provide long-term financial support for JCI. Its name was later changed to Jaycees International (JCI) Foundation, Inc., to appeal to the broadest possible donor base. The principal is invested to generate interests, which are used to support JCI programs, activities and expansion around the world. Only the interests are used; the principal remains intact. Contributions to both the JCI Senate program and the Foundation have significantly assisted JCI’s growth and development over the years. They have also funded training schools and courses, strengthened existing National Organizations, and extended the organization into new countries and to more young people around the world.